One of the founding members of the X-Men, Iceman first appeared in 1953 as the second mutant to join the growing forces of Professor X, becoming one of the youngest superheroes on the team. A mutant who can manipulate water vapor around him by freezing it, Iceman can also turn his entire body into ice. Appearing in television series and video games, as well as in many of the X-Men films, including X-Men, X2, The Last Stand, and Days of Future Past, Iceman is often played by actor Shawn Ashmore. 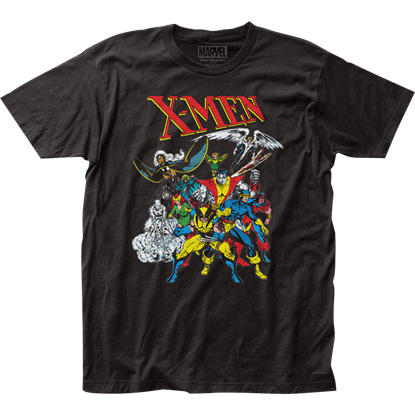 At Superheroes Direct, we offer fans of Iceman a variety of collectibles and apparel featuring this classic member of the X-Men, including t-shirts where Iceman appears alongside his fellow mutants. Keep checking back here at Superheroes Direct for updates to our selection of Iceman gear as it becomes available.